Now that Thanksgiving is over, Em is already planning her Christmas activities. At the top of her list every year is baking gingerbread men and putting together a gingerbread house. She loves to get creative with the icing and leftover Halloween candy! Christmas is a great time of year to read The Gingerbread Man. But, don’t stop there. 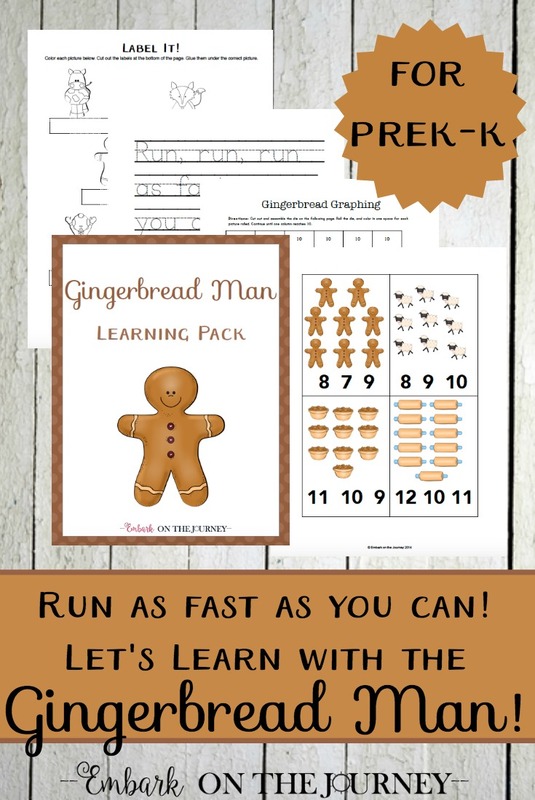 Why not put together a whole unit featuring the Gingerbread Man! When you scroll down, you’ll find a plethora of crafts and activities you can do with your crew to enhance your gingerbread man unit study. From paper crafts and art projects to homemade play dough to baking cookies, there are so many ideas you won’t possibly be able to do them all. So, pin them to your favorite Pinterest board so you can reference the ideas throughout the season. 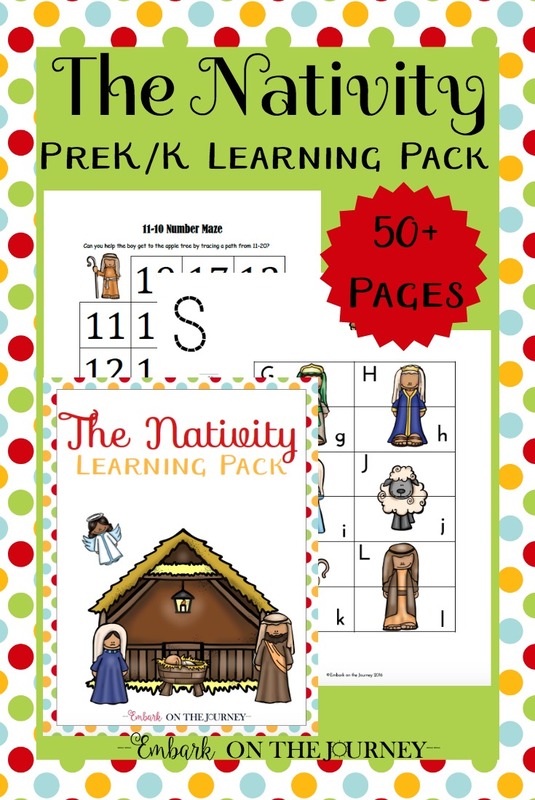 This 30-page Gingerbread Man pack is only available to my subscribers. Please submit your information below, and then check your email for your download. Let your kids discover how many cookies tall they are. Set up a Gingerbread Man tray for this montessori-inspired activity. Homemade gingerbread scented puffy paint will make your crafty kids happy. Homemade gingerbread scented slime will keep your kiddos happy for quite a while. Make gingerbread baby houses with milk cartons. Make homemade gingerbread cloud dough. Gingerbread clay ornaments will look great on your tree! Here’s a fun gingerbread sensory table for your kiddos to enjoy. These felt gingerbread men would be a great quiet-time activity. Gingerbread play dough mats are great for some opened-ended play time. How about making a paper plate gingerbread man? Practice number recognition with a gingerbread man number hop. 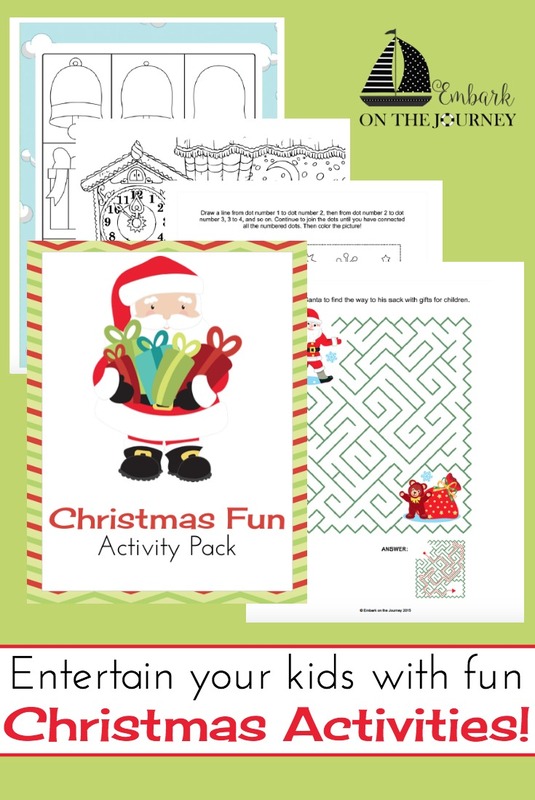 For even more Gingerbread Man themed activities and printables, check out my Pinterest board. Follow Embark on the Journey’s board Gingerbread Man Activities on Pinterest. Which activity will you do with your kiddos first? Thank you for this wonderful printable pack. We used some of the activities last week and I shared about it on my Workbox Wednesday post, linking back to you. Have a great day. I’m so glad you enjoyed it, and thanks for sharing! Awesome! We picked up a kit to make Ninja-bread cookies this year. 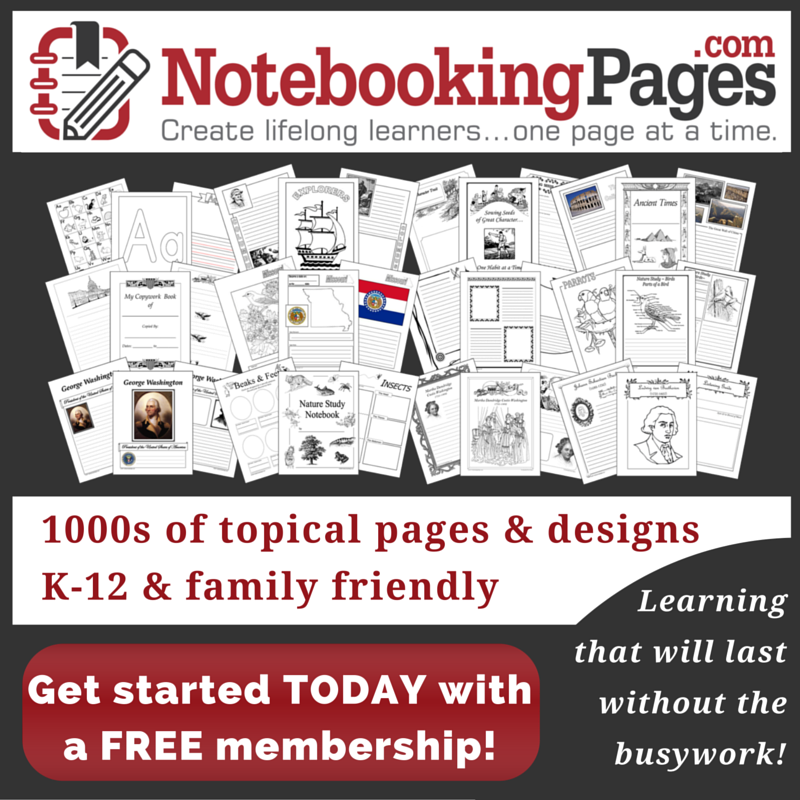 These printables will go well with them! Ninja bread cookies sound like a lot of fun! So cute. I am saving for my daughter who is a preschool teacher. Her kids will love this! Thanks for linking up to Funtastic Friday! Thank you so much for getting me that link! I wasn’t expecting a response so quickly!